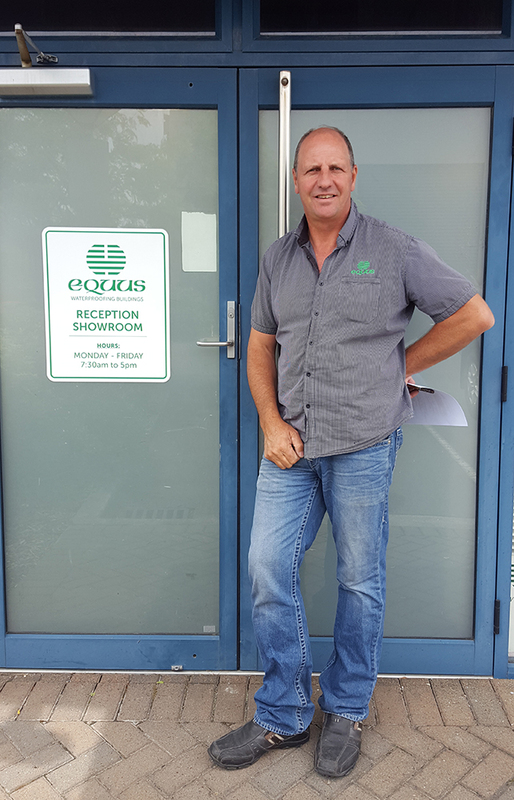 Rob has been a part of the Equus team since he bought the South Island franchise in October 2000. Before joining Equus he had owned his own painting and waterproofing company since 1990, during this time he became familiar with more and more Equus products, building up his skills and product knowledge. Rob then became one of the four company directors in 2006, and shareholder in 2015. When Rob first came on board Equus was mainly a plaster & coatings based company, and over the years he and the other directors have worked hard to build up a large variety of waterproofing products from a range of international suppliers. Rob has brought his experience as a contractor to the company, and combined it with the sales team to help build close relationships between everyone involved in a project; from the architect to the end user. He can often be found travelling between the three branches giving support to the sales team, or travelling overseas to help further the Equus product range, and gain knowledge of the industry as a whole on a global scale. He enjoys learning about the different products, services and systems that overseas partners can provide. Rob is not only busy in his working life, as he enjoys being a part of a community. He has a passion for speedway and is currently a part of the Ruapuna Speedway administration team, and has been the president of the Ellesmere speedway for 8 years. He has also spent the last 19 years in his local volunteer fire brigade and has been the Deputy Chief for the last 3. Rob is also a keen traveller, and in his spare time enjoys getting away with his family, on both local and overseas holidays.